You’ve chosen to build a custom home because it’s uniquely yours. You’ve chosen everything from the brick exterior down to the kitchen sink…literally. But what about your kids? How will they customize their space? They want their rooms to be uniquely theirs as well, but changing out their room décor every few years based on their change in style can become expensive. We’ve put together a few kids room decorating tips to help your kids’ rooms grow with them as they age. Choose furniture pieces that have staying power. Large full size dressers may seem like overkill for an infant or toddler, but all too soon they will fill up. Flexible pieces like cribs that convert to full size beds provide longer life. Likewise, day beds offer flexibility with older children and teens. And while white might seem like the perfect anchor for your little girl’s room, neutral tone furnishings will complement more design changes as she matures. Eventually, stuffed animals and toy trucks make way for trophies and awards. And while you don’t need to display everything, you don’t have to hide it all either. A mixture of open and closed storage options allows for clutter to be hidden and treasures to be organized. Try open wall shelving mixed with upholstered storage bins or trunks to make the room to look spacious and uncluttered while still providing personality. Design experts caution that too many patterns can look chaotic, but a combination of three variable size patterns (small, medium and large) can provide needed balance. You can anchor a neutral room with a bold patterned rug and accent with a subtle patterned drapery or window treatment and add mixed pillows. Partnering like-color schemes helps with cohesion with mixed patterns. These individual elements are also easily changed out as your child grows; and swapping one or two elements is far less costly than redecorating an entire room. Aside from furniture, lighting is one of the most important aspects of your child’s room. They spend much of their time in their room….and not all of it is sleeping. You want the lighting to be conducive to waking activities like playing, bedtime reading and down the road…homework. Experts recommend a blend of lighting sources, incorporating ambient and task lighting especially. Accent lighting can be added to highlight special features if desired. 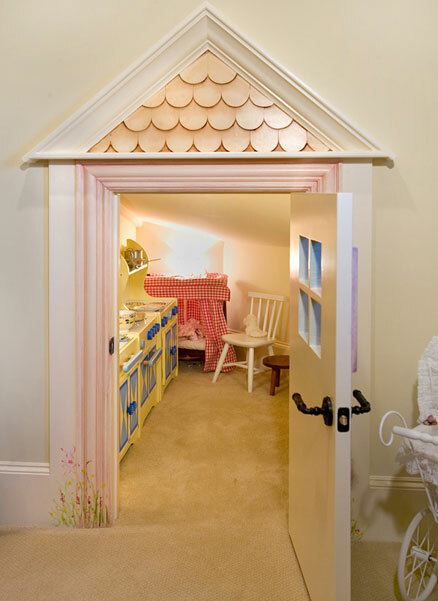 The most important aspect of your child’s room is that you want to make sure they feel it’s their room. Let them be a part of the process (if old enough) when designing their personal space. Items like paint color can easily be changed out in the future. Fun wall decals offer large graphic accents, like dinosaurs, race cars or butterflies, and are easily removed when their interests change. All in all, getting to spend time with your children as you customize their personal space in your new home is priceless. Their personalities emerge and tandem excitement grows. And when decorated right, your kids’ rooms will grow with them as well. At Eppright Homes our goal is to design and build budget based, value added superior quality custom homes and we take that goal very seriously. We strive to accomplish it with integrity, responsiveness and hard work that exceed our customers’ desires in quality and customer service. Please reach out us with any questions you may have about a specific custom home project or about custom building in general. We’re happy to help in any way we can. You can reach us at 512.347.9956 or visit our website.